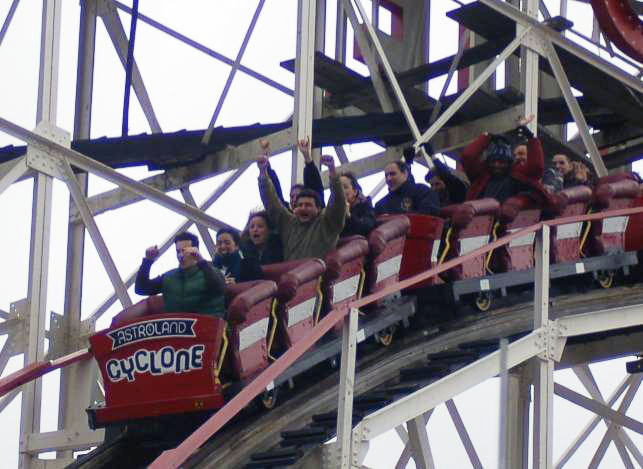 Yesterday, of course, was the reopening of Astroland and of Deno's Wonder Wheel Park for the 2008 season and neither rain nor damp chill stopped it from happening. The photo above comes from the excellent Brit in Brooklyn blog and the one below is from a flickr set posted by lornagrl. And, yes, people were seen riding the Water Flume at Astroland.